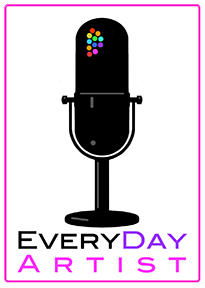 I was extremely honored to be asked by Brent Watkinson to participate in his Everyday Artist Podcast. I’ve known Brent for almost twenty years when I began teaching with the Illustration Academy during summers. Brent’s an amazing artist, but that’s only one facet of his many, many talents. He’s an incredibly nurturing and insightful teacher whose color lectures alone are brilliant and when coupled with his compositional lectures and others boggle. He is a wonderfully gifted photographer (and has tried, unsuccessfully, to explain the math of apertures and ƒ stops to me - all failed due to my ignorance not his teaching), has created various apps for the iPhone, is an extraordinary cook and now has begun his podcast on everyday artists from all walks of life.